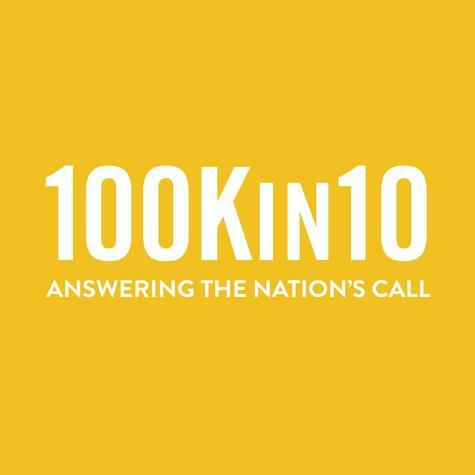 100Kin10 is continuing the potentially revolutionary work to identify, understand, and activate solutions against the large, system-level barriers that stand in the way of achieving our goal of recruiting, training, supporting, and retaining 100,000 excellent STEM teachers. 100Kin10 began this work in winter 2015, developing an initial list of challenge areas through interviews with STEM teachers, principals, and other stakeholders. At the annual Summit, over 200 partners workshopped the challenges areas, providing context and nuance around the root causes and envisioned solutions that respond to them. That input was used to develop the next iteration of draft grand challenges. 100Kin10 has continued to gather feedback on this draft challenge tree. With an invitation from the Office of Science and Technology Policy, 100Kin10 hosted a workshop at the White House with the winners of the Presidential Awards for Excellence in Mathematics and Science Teaching (PAEMST). Participants provided feedback on the root causes while also sharing personal experiences of how they had overcome or worked around some of these challenges. More than 100 partners also engaged with it at Back-to-School breakfasts held in regional hubs around the country this past fall. • Collecting input from teachers, principals, sector leaders, and other stakeholders through surveys and interviews. • Track progress on the work: Stay up-to-date with the development of the challenge areas, and be ready to act on them when the final set is distributed later this year. Navigate to the News section of 100Kin10.org for information and updates. • Contribute to the conversation: Take a survey – whether you’re a STEM teacher, a principal, a STEM undergraduate, or a nonprofit leader – to share your insights on the challenge areas and their root causes and to highlight bright spots that showcase strong work already happening within the challenge area. Access the surveys through 100Kin10’s webpage as soon as they are live (mid-March). • Spread the word: Connect us to your networks of STEM teachers, STEM teacher candidates, principals, and other STEM education stakeholders so that they can get involved and contribute to the conversation. Contact us at grandchallenges@100Kin10.org for next steps. Stay tuned to www.100Kin10.org for more opportunities to contribute to identifying the STEM teaching grand challenges.